Learn how Lucky Iron Fish, MiniHero, Social ImpaKt and Ecosia solve complex problems with simple solutions. Lucky Iron Fish: Little Fish. Big Impact. 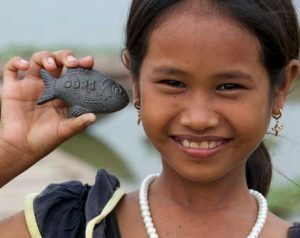 One Lucky Iron Fish provides a family with a significant proportion of their daily recommended iron intake for up to 5 years. All you have to do is cook with it. It’s a simple, affordable, and effective solution anyone can use. The team is doing a great job in accomplishing their vision: “a world without iron deficiency”. Gavin Armstrong, CEO of Lucky Iron Fish, is often invited to give talks and interviews about their solution by major enterprises like TED & Ernst & Young and the Impact and Partnership Specialists at Lucky Iron Fish, are doing a great job at increasing the reach of their campaigns. MiniHero: Supercharge your karma with minute acts of heroism. Simplifying they way people volunteer. As Damir Kotorić‏, founder MiniHero, puts it: “Today, it takes a few taps to hire someone to pick up groceries for you, to book accommodation on the other side of the world, or to order a product with next day delivery, if not sooner. 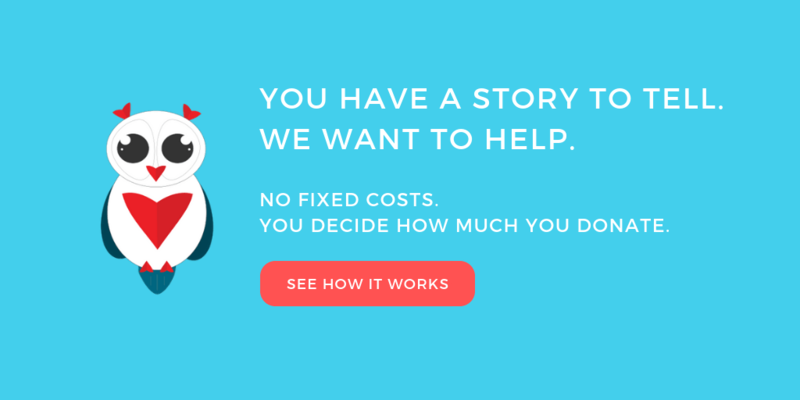 With MiniHero, Damir aims to make volunteering faster, less daunting and less bureaucratic. He wants to make volunteering as easy as calling an Uber. At GlobalOwls, we of course love it when organizations call upon communities to help solve global issues. That’s exactly what Damir is doing. MiniHero is hosted on Github. The APGL-3.0 license means anyone can use the code freely as long as their work is also open source. 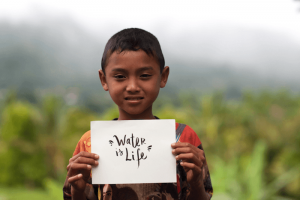 Social ImpaKt: Affordable Water Filtration Technology for Rural Indonesia. In short: Social ImpaKt uses a smart filter to make clean water out of not so clean water. This solution is much more affordable and eco-friendly than boiling water or buying water bottles and of course much healthier than drinking not so clean water without filtering it. Back in 2010, Jeroen was Vice-President for Europe, Middle-East and Africa for an international corporation. Based in Dublin, he was managing 800 employees spread over 9 countries in charge of a 260 million US $ business, traveling always more. Suddenly, in 2011, he experienced a shift. He realized that he was helping companies make money, but he was not helping people. He was not aligned with his values anymore. He wanted to give new meaning to his life and focus on humanist values. He realized there was a better way to use his business skills. Jeroen would like to invite you to help Social ImpaKt help even more people. Their website and Social Media accounts need improvement and we can help by donating our knowledge. Simply go to their project page and give advice. Ecosia: Plant trees while you search the web. Simply use Ecosia instead of your usual search engine and with every (approximately) 45 searches, you help plant one tree. I’ve been using it for just a few days and already helped plant four trees. I do find that Google’s search engine is doing a better job in fetching the best search results. But whenever I do an in depth search (sometimes just once a day), I just type in “Google” in Ecosia. So it only takes one more click to use your usual search engine. Throughout the rest of they day, you help plant trees. 80% of Ecosia’s revenue goes to planting trees. When this article was written, September 17- 2017, they’ve already planted more than 13.5 million trees and they’re on an ambitious journey to plant one billion trees by 2020. I’m honored to say that I will be a part of their journey. In summary: What we can learn from these great organizations. Simplicity is key. When a product can be integrated seamlessly into the lives of many people, you have yourself a winning product. Keep looking for user feedback on how to improve simplicity. I remember the time that people didn’t use the Lucky Iron Fish they way it was supposed to be used. At first, Lucky Iron Fish wasn’t shaped like a fish. It was flat. People used it to keep their doors open, make their tables stable and other silly things. Because of Lucky Iron Fish’s pro-active approach, they learned how people were using the product and improved upon it. At GlobalOwls, we’re happy that we’ve implemented user feedback into our product. It’s our core. On our project page, we receive tons of valuable user feedback to keep improving our product. Be pro-active. Look for user feedback and simplify your product or service.